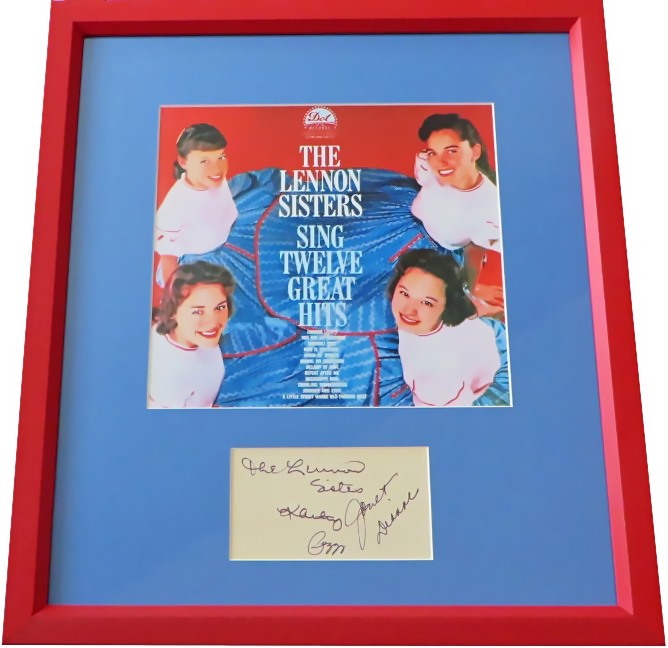 Autographs of all four original Lennon Sisters (Janet, Kathy, Peggy and Dianne) on plain paper professionally matted in blue and framed in red with an album cover reproduction print, ready to hang. About 14 1/2 by 16 inches. From estate of someone who obtained the autographs in person at the Lawrence Welk Show. With certificate of authenticity from AutographsForSale.com. ONLY ONE AVAILABLE FOR SALE.